It sounds like a good overview of using PDF to share spatial data and maps. Definitely worth the time. 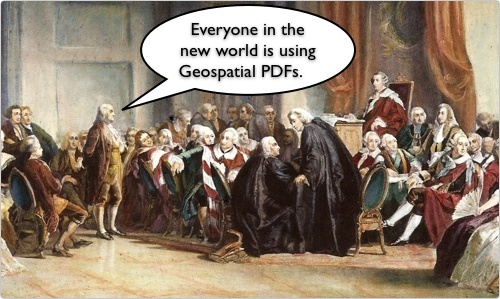 Even Ben Franklin was interested in getting the message out to the old world about geospatial PDFs.